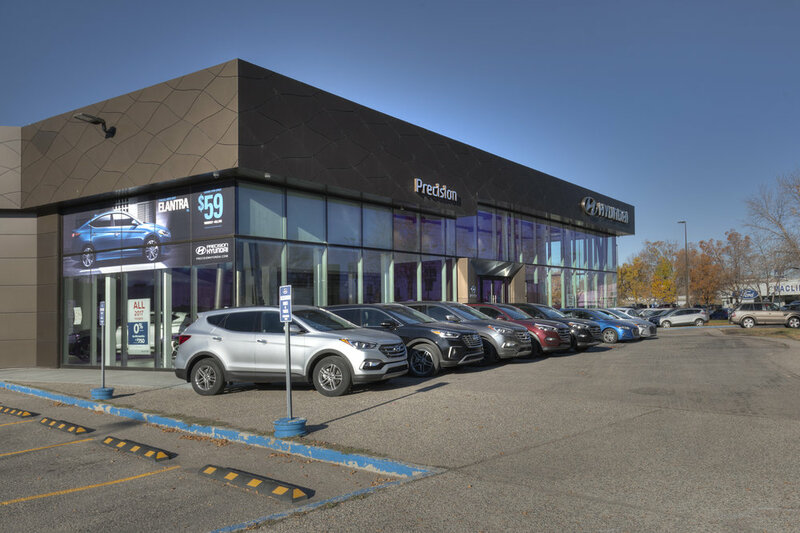 Precision Hyundai was looking to upgrade and expand their current building to increase capacity inside their showroom, renovate the second floor staff and office spaces, as well as add a drive-through drop-off / pick-up area to their maintenance shop. 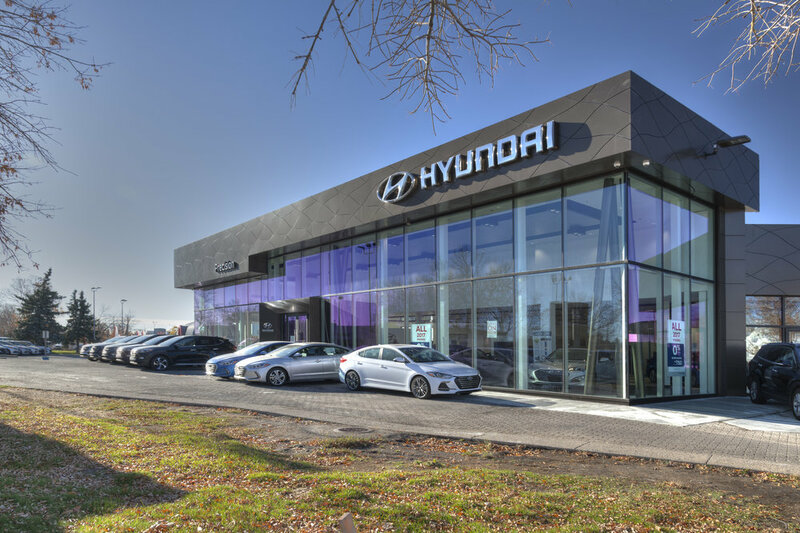 During renovation, Hyundai Canada also launched a full company rebrand, and RK was responsible for incorporating the branding in the design. 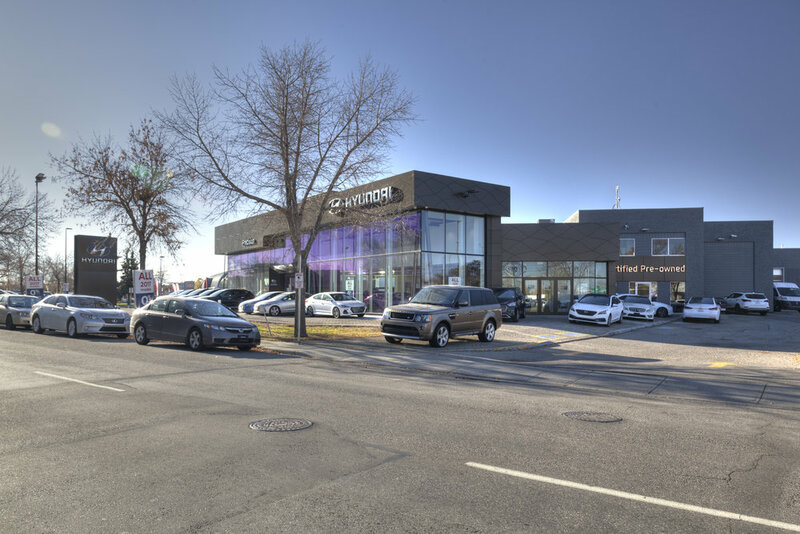 Some of the branded elements include the patterned exterior cladding, interior waved ceiling feature, columns, lighting, and signage.